Preserving History – With Lasers! 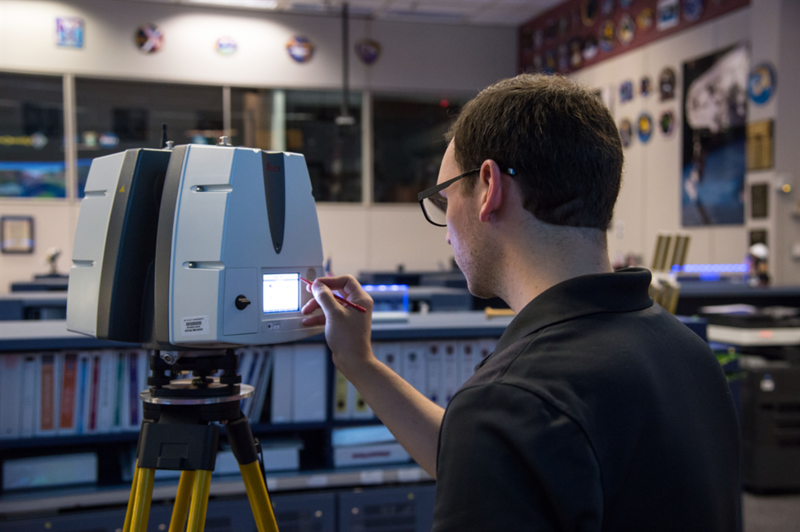 A speciality team from the National Park Service in Historic American Building Survey/Historic American Engineering Record were tasked with preserving the history of the Johnson Space Center (JSC) with laser technology- reminiscent of “Star Wars”. On April 27, the team was tasked to preserve a part of American history by using 3-D scanners to recreate 1-1 virtual recreation of the Johnson Space Center to be stored digitally forever. Naturally, everything is susceptible to change, with no exception to the JSC. 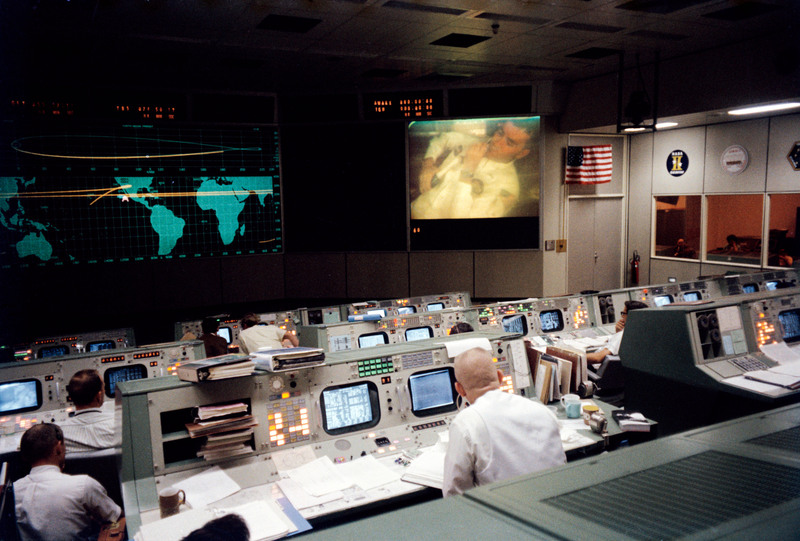 Just like the mission control rooms before it, the FRC-1 is receiving a 21st-century makeover- but unlike the other mission control rooms, before the room is torn apart it will receive extra love and attention. Says Sandra Tetley, JSC’s property officer and historic preservation officer. The scanners use either a laser line or point to scan a specific area. The sensor picks up the reflected light off of the object, and through trigonometric triangulation, the system can calculate the exact distance from the object to the scanner, picking up every minute bump and crevasse along the way, storing it digitally. Equipped with this technology the room can be forever stored digitally, available to anyone interested in seeing FCR-1 exactly as it was when it supported many spaceflight missions. Tetley plans on creating a website that will be live in June where anyone can see the virtual reality representations of FCR-1, among many other historic buildings and landmarks unique to JSC. The JSC is not the only historic site being scanned. Another team has taken on the challenge of scanning 500 artefacts before they are destroyed, calling the plan the CyArk 500. The CyArk 500 Challenge is CyArk's ambitious goal to digitally preserve 500 cultural heritage sites within the next five years. CyArk and its partners are on a mission to save these cultural heritage sites digitally before more are ravaged by war, terrorism, arson, urban sprawl, climate change, earthquakes, floods, and other threats. The company was founded in 2003 with the mission to save heritage sites for generations to come, while giving unprecedented access to people of today. The team has digitally stored historic sites from Mount Rushmore National Memorial to Babylon in Iraq.